Spain is a country one should discover when h/she has a chance. Especially Barcelona city is famous for its magnificent mountains to walk and climb. One of this mountain that we recommend you to see is Montserrat Mountain. Here we will try to tell Montserrat Monastery which stands facing Barcelona city. Montserrat is a magical place and many Catholic pilgrims come to see Black Madonna in the monastery. Montserrat mountain is at 1236 meters above the valley floor. It has got inexpressible scenery during the sun rise and most people in Barcelona city appreciate this view and do lots of overnight hikes. Montserrat is nearly 30 miles away from the centre of Barcelona city and it's easy to get there by train or private car. So what makes Montserrat Monastery so important? Why do many Catholic pilgrims come to see Black Madonna? What is the history of Montserrat Monastery? When you discover the magic of the mountain you will be more enthusiastic about seeing the mountain. In the past while shepherd children were wandering around the mountain, they saw a magical light over Montserrat. At the same time, the children heard the angels singing. After some time, they hurried to their home in order to tell this inexplicable and magical moment. Firstly, their family couldn't believe that but parents' trust for their children made them believe this magical light and they went to Montserrat mountain to be able to see it with their own eyes. According to some people living near the mountain, they saw the bright light, too. So, after that event, they believed it came from God as signal and this mountain became religious place. Montserrat Monastery hosts Virgin of Montserrat which is a statue of Virgin Mary and infant Christ. Virgin of Montserrat is the most beloved saint of Catalans and the statue is located in the sanctuary of the Mare De Deu de Montserrat. It's also one of the Black Madonnas of Europe. There is a legend about the statue that Benedictine monks couldn't move the statue which dates from 12th century to construct their monastery so they built it around the statue. As we conclude from all these magical stories that Montserrat Mountain Monastery really deserves being a religious and holy place. 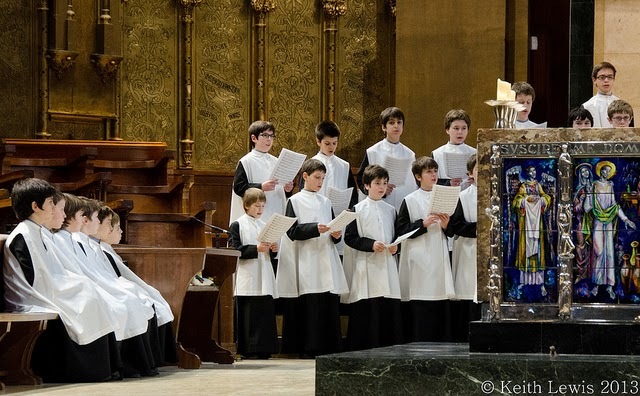 So to Her honor, 50 choir boys sing Gregorian chants everyday but by monks on Saturdays. Montserrat Museum: If you are fond of art and want to see the different works by Dali, Picasso or Caravaggio then it is a must do activity. The museum has six permanent collections and two temporary ones. The works of art in the museum are more than 1300 pieces and these works consist of broad historical period. Some private citizens donate these works of art to the museum and the Monks of Montserrat Monastery think that opening these works for the sake of public is their duty for transmission of cultures. It is a place you can have chance to see the collections from Egypt, Middle East samples to pieces of art of 20C. In Montserrat Monastery there are some places to eat like cafeterias. You can find many kinds of food choice and you can have a break as a daily full Montserrat Monastery trip takes at least 4 or 5 hours! If you have only one day to visit this magnificent mountain then you should take the chance of staying at the mountain for long hours. On the right side through monastery, there are displays where many kinds of diary and honey goods are sold. You can taste before you buy and get some local souvenirs for your family and friends. Where can you stay in Montserrat? If you plan a short trip to Montserrat mountain for both hiking and culture trip then we can say that Montserrat is a friendly and safe town to stay. There is a hotel in Montserrat called Hotel Abat Cisneros and an apartment called Abet Marcet. Accommodation in Montserrat is easy and comfortable to stay. In Hotel Abat Cisneros, there are facilities for people who are in need special assistance. Please note that you had better call the reservation desk beforehand for disabled facilities to check the services. What to Do in Montserrat? If you have a plan for Montserrat Mountain trip then one should go for a hiking in the valleys of Montserrat mountain. The highest summit of the mountain Sant Jeroni and stands at 1.236 meters above the sea level. It's easy to get there by hiking trails connecting from the top to the down or Sant Joan funicular. Also there is another mountain which is popular among climbers called Cavall Bernat. How to Travel to Montserrat from Barcelona? 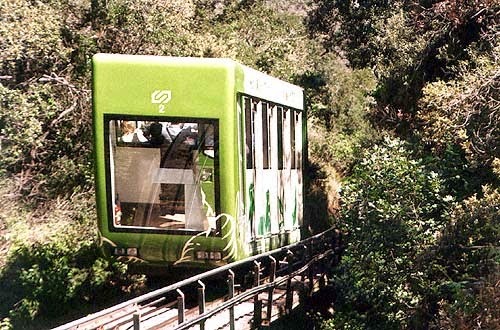 There are various ways to access Montserrat but the popular one if you don't have your own car is getting on the train. You can get on the train at Espanya rail station. It's a little bit confusing station for the new comers but we suggest that you take the one door randomly and then look for the train information to the Montserrat mountain. You can take Line R5 to Manresa. There are two ways to access the monastery. You can buy a ticket for Cable Ride or Cramellera Funicular ride to the monastery. You have to make up your mind for the ticket you would like to buy as you can't use it mutually. Both the tickets prices are the same. 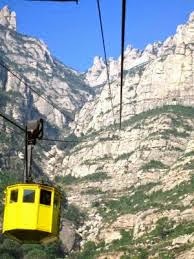 As the train from Espanya station goes to only foot of Montserrat mountain you have to choose the right ticket according to your wish as you need to get off and change the stops with the tickets. These two tickets are called Trans Montserrat Ticket. You can check the updated time schedule and prices for the Montserrat tickets. For your Barcelona city travel guide please keep on following us. If you have any questions about this article or any other places please feel free to contact us. We will continue to write all about Barcelona city. You cand find the more Montserrat Mountain photos at Gallery part of our site. Enjoy your travel.